It has been a pretty horrific transfer window for Spurs so far. They have lost Kyle Walker, who has been the best right back in England for the past two seasons, whilst Danny Rose on the other flank has had an extraordinary outburst against the way the club operates, with serious question marks now over his future. Not only that, Spurs have so far failed to make a single signing, and have a weaker squad than they ended last season with. 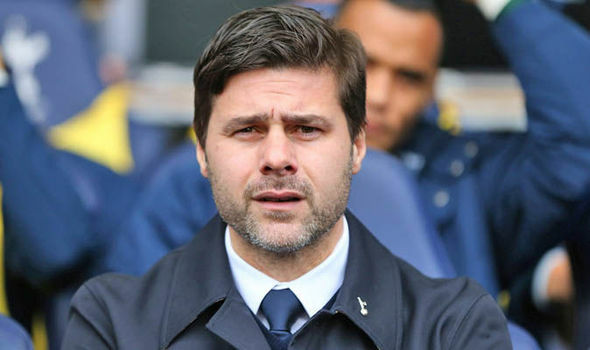 However, they arguably still have one of the strongest first XIs in the league and manager Mauricio Pochettino has promised they will now move in the market. Spurs fans will still rightly be frustrated that they go into the season under strength. It’s bizarre that the two sides who finished in the top two of the Premier League last season are the ones who have had the worst transfer window so far. They say you must add when you’re at your strongest, and Chelsea have failed to improve on their squad since the end of last season, like Spurs. They have, however, signed three players, totalling well over £100million, although there are still question marks. Alvaro Morata is a downgrade on the surely departing Diego Costa and selling Nemanja Matic and Nathaniel Chalobah whilst loaning Ruben Loftus-Cheek and then only bringing in Tiemoue Bakayoko means they are desperately short in central midfield. 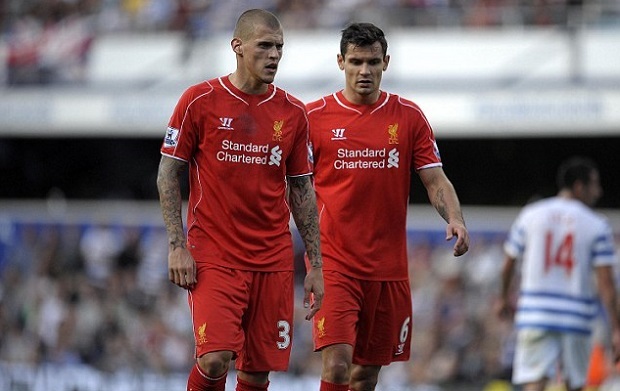 They look stronger at centre back, but will want more depth and improvement in the wing back positions. Overall, despite their three big money signings, Chelsea’s squad is not good enough, or deep enough to compete in the Premier League, Champions League as well as the domestic cups. There are also doubts over Antonio Conte’s future. 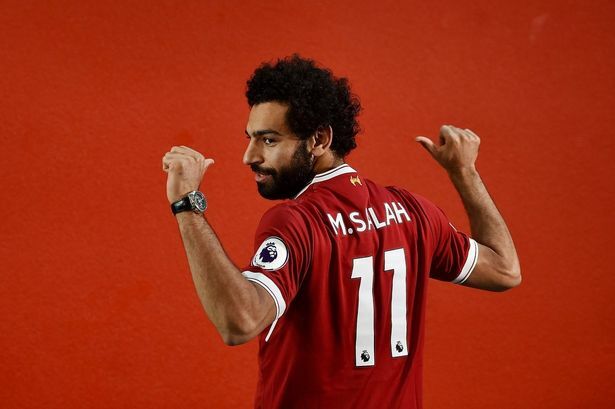 The signing of Mohamed Salah looks a shrewd one and he adds to an already frightening attack, as does young Englishman Dominic Solanke. Andrew Robertson is a good left back, meaning Liverpool can now move James Milner back into midfield. However, there are still huge doubts over Jurgen Klopp’s defence. Playing a system that can leave the Reds open in defence, as well as his insistence on playing out from the back, requires much better central defenders than the ones he has at his disposal. The German made a point the other day at how you couldn’t name five better centre backs than the ones he currently has. That simply isn’t true. The Virgil Van Dijk transfer saga has gone on all summer and if they could finally secure his signature, they would be in a much better position to challenge for the title. The two first team goalkeepers, Simon Mignolet and Loris Karius, still have huge doubts about them as well. Signing Naby Keita would be the best bit of business any side does this summer, however that looks increasingly unlikely. Keeping hold of Philippe Coutinho is crucial to their chances. They finally have the striker they’ve been searching for since Robin van Persie left. 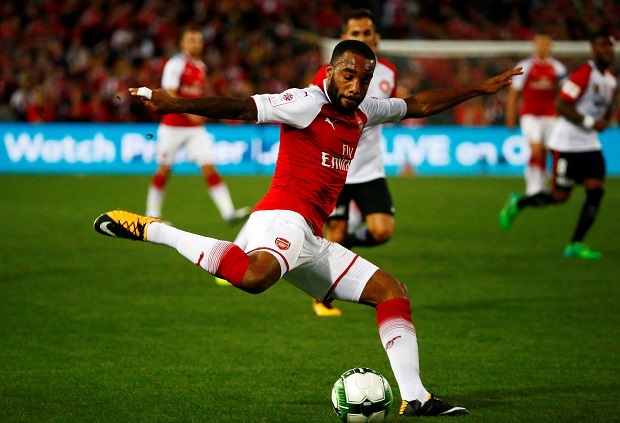 Alexandre Lacazette is an extremely sharp striker who is clinical in the box. The Frenchman has wonderful movement, which will no doubt please Mesut Ozil, and is good in the build up phase as well. Sead Kolasinac is already popular amongst fans after his equaliser against Chelsea in the Community Shield and looks to be exactly what Arsenal needed for the left hand side if they are to stick with the 3-4-2-1. However, they could still do with another combative midfielder who is good on the ball to bring added depth and strength due to the fitness worries over Aaron Ramsey and Jack Wilshere. They also look rather light in central defence, especially if Arsene Wenger uses the three at back system for the duration of the season. Adding another first choice centre back should leave the Gunners with a squad that can at the very least break back into the top four. Jose Mourinho is reportedly still keen to add some quality and depth, however United look primed and ready for a title push. Nemanja Matic is an excellent acquisition and should give Paul Pogba more of a free role. Victor Lindelof has had a shaky start during pre-season, but is still a top level centre-half who will be afforded the time. 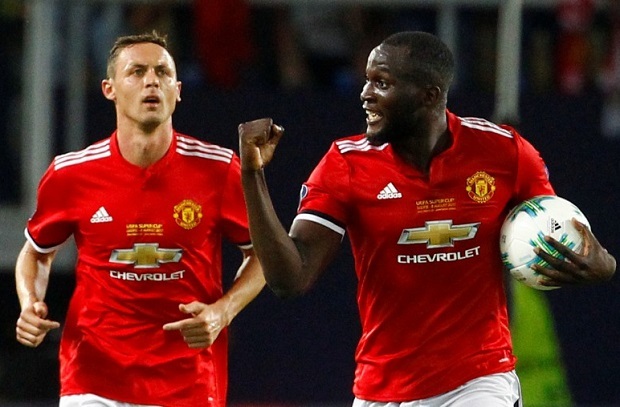 Romelu Lukaku is often criticised for being a flat track bully, scoring against the smaller sides, though that is exactly what United needed last season, and his goals should see them drop a fewer points against the smaller teams this season. With Luke Shaw’s injury issues, and Mourinho’s doubts over the player, United could certainly do with a new left back. They have also targeted Ivan Perisic all summer as an attacking wide forward, with Mourinho also admitting his desire to sign Gareth Bale. However, United are well stocked in the attacking roles behind the striker, so this signing isn’t crucial, though they could perhaps do with just one more out wide to add competition and quality. Pep Guardiola had a pretty poor first season at Manchester City by all accounts. However, the Citizens have been ruthless thus far and have strengthened in the areas in which they were weak last season. Ederson looks to be an exceptional keeper and the signings of Kyle Walker, Benjamin Mandy and Danilo greatly improves the side in what was their weakest areas. Adding Bernardo Silva to an already frightening attack is excellent business. There is little doubt Guardiola now has the strongest first XI in the Premier League, as well as fantastic depth. Their attack is phenomenal and they now look far stronger at the back. Not only that, they completed all their business early before the season started, allowing the new signings time to settle in and adjust, which every manager wants. They could perhaps do with a long term replacement for Yaya Toure, who can play as the six and pass the ball vertically, in between the lines to the attacking third. However, if Ilkay Gundogan can return to full fitness, they already have one of the best in the world for this position, and that’s not including Fernandinho, who brings exceptional qualities himself. – A long term replacement for Yaya Toure if there are doubts over Ilkay Gundogan’s fitness and Fernandinho’s suitability to Guardiola’s requirements. Manchester City are fearful that Arsenal are closing in on the signing of highly-rated academy product Jadon Sancho. The Citizens have offered Sancho a three-year deal worth £30,000-a-week. However, the 17-year-old is stalling on signing a new deal, with a host of clubs including Borussia Dortmund and Tottenham interested in his signature. Sancho wasn’t selected to travel with the squad to the US, and it is understood the player wants to leave the Etihad in a bid to play more regular first team football. According to the ​Sun, Sancho is keen on joining Arsenal and sees Arsene Wenger as the perfect mentor to help guide him towards more first-team action. Even though he only turned 17 in March, Sancho has already trained with the senior side. Reports in March suggested that City were confident that they could agree a deal with Sancho, but it now looks likely the youngster won’t be a City player at the end of the transfer window. Should Arsenal land the youngster, they will be getting one over on their rivals Tottenham who reportedly tried to secure Sancho’s transfer as part of Kyle Walker’s exit to City. When Pep Guradiola asked Sancho to join his first-team squad for a training session last season, Sancho was over the moon. Speaking to the Manchester Evening News about his move to City, he said: “After school I would just be playing football and other people around me would be doing bad stuff and I didn’t want to get in to doing that. 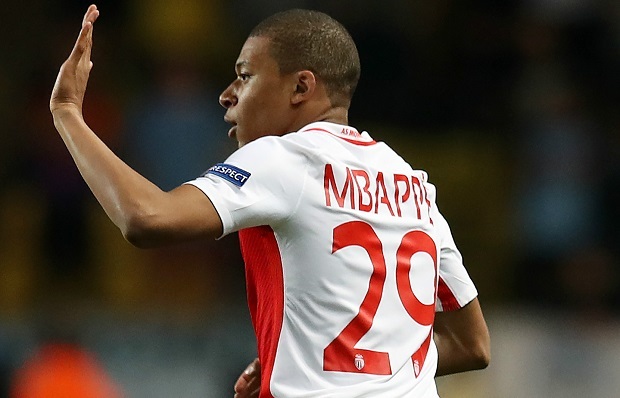 AS Monaco vice-president Vadim Vasilyev has confirmed that the club are in talks with Kylian Mbappe over a contract extension. Mbappe is one of the hottest properties in world football at the moment, with a host of Europe’s top clubs thought to be interested in his signature following a breakthrough campaign which saw him score 26 goals across all competitions. Real Madrid were reported to have agreed a world-record £161m deal for the 18-year-old, although Monaco later denied those claims and have now revealed that they have begun negotiations over an extension. “We are in discussions over a contract extension with Kylian and we hope to reach an agreement,” Vasilyev told reporters. Premier League trio Manchester City, Liverpool and Arsenal have also been linked with the France international, although Madrid are understood to be leading the race for his signature. Real Madrid have reportedly reached an agreement in principle with Monaco for the signing of Kylian Mbappe for a staggering €180m fee. According to Marca, the two clubs have agreed on terms over a fixed €160m fee plus €20 in bonuses, although the numbers differ slightly as per sources with some claiming that it will be €150m plus €30m in bonuses. Nevertheless, it looks as though a whole host of Premier League giants are set to miss out on the 18-year-old prodigy, with the likes of Arsenal, Manchester City, Manchester United and Liverpool all linked with a swoop for the French international at some stage. Should the deal go through with the reported figures, it will of course break the record for the most expensive transfer of all time by some distance, with Manchester United previously holding it after their purchase of Paul Pogba last summer. It’s added by Marca that Mbappe will sign a six-year contract with Los Blancos, earning around €7m-a-year net as he looks ahead to now potentially joining the Spanish giants and starting the next chapter in his career under the tutelage of Zinedine Zidane. On the flip side, it’s another major blow for Monaco as they have lost their most prized asset if the report is to be believed, in a summer in which they’ve already seen several key members of their title-winning squad from last season leave the club. Mbappe was the most sought-after player of the group, and it’s no real shock considering his performances last year which were much more than just his goals and assists. Looking at those statistics tell a story in itself, as he scored 26 goals and provided 14 assists in 44 appearances in all competitions, but he showed on a consistent basis that he can become one of the very best in Europe in the years to come. North London rivals Arsenal and Tottenham Hotspur will reportedly battle it out for the signing of Manchester City youngster Jadon Sancho. The England Under-17s international has been left out of the Citizens’ squad for their pre-season tour of the United States, despite being tipped to play a part in the club’s summer programme. Sancho was first linked with a switch to Arsenal earlier this year and, according to The Sun, they are now ready to pounce with an offer for the teen. It is claimed that Tottenham have also shown an interest, however, having closely monitored the former Watford starlet in recent months. Sancho turned down a number of Premier League clubs to make the switch to Man City in 2015, but he is said to be keen on a return back south. According to Turkish sports media company ​Fanatik, Manchester City are set to make a shock move for Fenerbahce’s Martin Skrtel. The surprising story links 32-year-old Skrtel with a return to the Premier League, a year after leaving Liverpool. The Slovakian international left Liverpool for Fenerbahce last summer for £5m, ending his eight year association with the Anfield club. According to the Turkish media outlet, Pep Guardiola’s side are set to open negotiations with Skrtel and will offer him an astounding €4m (£3.6m) per-season. The Citizens are also expected to enter direct talks with Fenerbahce, if the initial response given by Skrtel’s representatives is positive. The report comes as a shock, but it is not the first time Skrtel has been linked with a return to the Premier League this summer. Newcastle United, Stoke City and Swansea City are also reported to be plotting a move for Skrtel, with Newcastle most strongly linked earlier in the window when it was reported that Rafa Benitez wanted to link up again with the former Liverpool man. “I don’t want to leave, I have settled in and want to remain at Fenerbahce,” claimed Skrtel. The centre-back is a first team regular for the Yellow Canaries and made 31 Süper Lig appearances last season as they finished third. However Fenerbahce at risk of not complying with Financial Fair Play regulations, so may be forced to sell some of their star players this summer, in order to balance the books. Skrtel was a popular figure at Liverpool making a total of 320 appearances in all competitions, however it remains to be seen whether he will be playing in the Premier League again next season. Chelsea have a genuine ​interest in signing Manchester City striker Sergio Aguero this summer. The Argentina international is regarded as one of the Premier League’s best strikers, scoring an impressive 169 goals in 253 appearances for the Sky Blues after joining from Atletico Madrid back in 2011. However, his future seemed in doubt towards the end of the season after Gabriel Jesus impressed following his move from Palmeiras, usurping Aguero in City’s first choice starting team under manager Pep Guardiola. ​Sky Sports believe Chelsea have a “serious and strong interest” in signing the 29-year-old but add that any potential deal will be difficult for the Stamford Bridge club to complete, with City not eager to sell him. Aguero is just one target for the Blues, who are also interested in Real Madrid striker Alvaro Morata, Borussia Dortmund speed merchant Pierre-Emerick Aubameyang and Torino star Andrea Belotti after missing on Romelu Lukaku, who has signed for Manchester United for £75m. When asked if Aguero would stay at City in May, chairman Khaldoon Al Mubarak said: “Absolutely. There’s never been a doubt about that. I’ve read a lot of the speculation on this and it’s ridiculous. “Sergio Aguero is one of the best players in the world. We are a team that aspires to win every competition we compete in. Chelsea need to sign a striker after it emerged that Diego Costa had no future at the club despite playing a large role in the Blues’ Premier League title triumph last season, scoring 22 goals in all competitions before being told by manager Antonio Conte that he was not in his plans. City will be one of Chelsea’s top rivals for the Premier League title next season, having already spent big this summer in signing attacking midfielder Bernardo Silva, goalkeeper Ederson and right-back Kyle Walker. Manchester United boss Jose Mourinho has reportedly deemed Chris Smalling surplus to requirements this summer. United announced the signing of Swedish defender Victor Lindelof last month, and it is understood that Mourinho sees Lindelof and Eric Bailly as his first-choice centre-back partnership next term. Arsenal, Tottenham Hotspur and West Bromwich Albion have all been credited with an interest in Smalling in this summer’s transfer window, and according to The Sun, the England international will be sold ahead of the 2017-18 campaign. Smalling, who has two years remaining on his contract at Old Trafford, is closing in on 250 appearances for Man United following a 2010 move from Fulham. Last season, the former Maidstone United centre-back only started 13 Premier League matches after struggling with injury, although he was in Mourinho’s team for the Europa League final. Manchester City have a genuine chance of winning the race for Kylian Mbappe and are actively engaged in talks with his agents, according to Spanish football expert Graham Hunter. The £130m-rated Monaco teenager has become the most sought after player in world football with Arsenal, Liverpool, Manchester United and PSG having all been linked with the French teenager, who reportedly favours a move to Real Madrid. 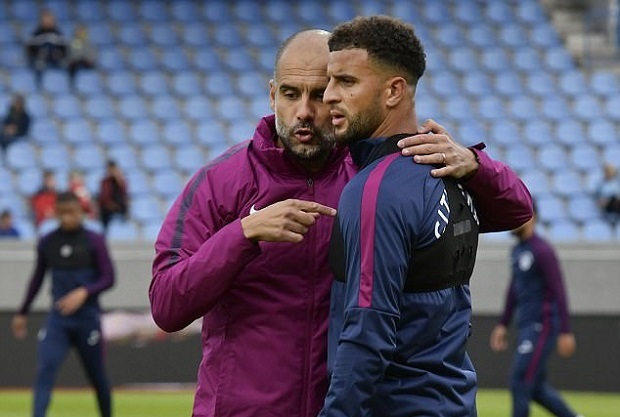 But now Hunter claims that City have entered the running with the player “thinking long and hard” about the chance to move to the club and work with Pep Guardiola. “City are talking actively to Mbappe’s representatives, saying they are best placed to develop his career, where he could work with Pep Guardiola and be paid handsomely,” Hunter told Sky Sports News HQ. “Real Madrid, meanwhile, are wooing Mbappe’s agents saying they will break the transfer record for this kid. Zidane, of course, has known Mbappe since he was 14. “The battle is with Manchester City and they are persuasive and Mbappe is now thinking long and hard between London, Madrid, Paris and now Manchester. City are in that battle. ​Arsenal and Tottenham are reportedly fighting it out to sign Manchester City’s wonderkid Jadon Sancho, who hasn’t currently committed to a long-term stay at the Etihad. According to the ​Mirror, City are also engaged in their own battle as they try to get Sancho to pledge his loyalty to their club amid the transfer circus surrounding the youngster. The 17-year-old has yet to put pen to paper at the Man City, leaving the door open for potential suitors to make him a better offer. Other interested parties besides the north London duo of Spurs and Arsenal are RB Leipzig, who have been keeping a regular eye on the best young English talent this season. It was previously Spurs who appeared to have the lead in the transfer race, with Sancho rumoured to be included in any future business the two clubs potentially do in regards to Kyle Walker. 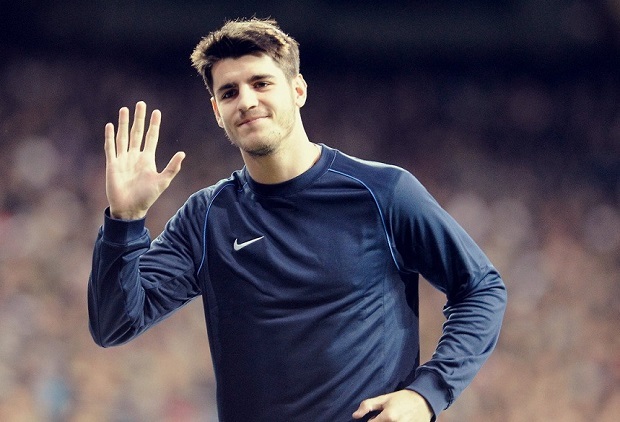 However, Spurs’ attempts to include the young attacker in the deal have been thwarted. It could be Arsenal, who are also huge admirers of Sancho, who follow in a similar vain should City increase their interest in buying their Chilean talisman Alexis Sanchez. Sancho, who featured heavily during England’s successful Under-17 European Championships campaign is regarded as one of the best young talents in Europe. He won the prestigious Golden Player award during his most recent tournament appearance, handed to the competition’s best player and previously won by the likes of Toni Kroos, Wayne Rooney and Cesc Fabregas, after scoring or setting up 10 of England’s 15 goals in Croatia. He could potential leave for less than £500,000 training compensation this summer if City are unable to persuade him to sign a new contract.